10. instructs its President to forward this resolution to forward this resolution to the Council, the Commission, the Vice-President of the Commission / High Representative of the Union for Foreign Affairs and Security Policy, the Government and the Parliament of Cameroon, to the Community of the Central African States and the African Union. In 1990, the founding National Vice President of the CPDM party, Dr. John Ngu Foncha resigned from the party, citing some of the issues you are now complaining about. By remaining inside that party, did you hope to correct those wrongs or did you consider that John Ngu Foncha was just a nuisance and ought to be dispensed with? In 1993 both John Ngu Foncha and S. T. Muna, who are considered as the fathers of the nation used the opportunity of AAC1 to offer their apologies to the people of Southern Cameroons for having driven them into an unfortunate marriage with a barbaric people. Since you say you are like them because you fought for reunification, do you think that what you said in the upper house of parliament on 9th April 2019 is enough to atone for the killings and burning of villages under your jurisdiction as paramount traditional ruler, by the army of Mr. Paul Biya who recruits and pays you? In June/July 2017, Dr. Simon Munzu spent a week in Yaoundé, plying all Anglophone MPs and Senators (after he had travelled the entire North West and South West appealing to all traditional rulers) to form a delegation and seek audience with Mr. Paul Biya to request that he convene a national dialogue. How did you receive Munzu’s advocacy and how did you react? Did you even summon a meeting to consider his plea or you just ignored him the way your younger brother and employer, Mr. Paul Biya has treated Anglophones with spite and disdain, beginning from John Ngu Foncha to that grandmother whom his army burnt in her house in Kwa Kwa and that child whom he sent his army to wake him up from sleep at 5a.m and shoot him dead in Batibo? Well, your Highness, it seems to me that after publishing a well written book in 2014 which recounts the history of this country, you feel like you have still not done enough by way of legacy and you thought by that outburst in senate in Wirba-like fashion you are doing something to be remembered by. I think that the reception which that drama you put up got from the Anglophone public tells you there is more you can do if you don’t want people to attend your funeral only to grab what they can. You have two options: either you apologize to us and immediately resign from that moribund house of ghosts called senate, and also pull out of that masquerade called CPDM, or you form a delegation of about fifty Anglophones, including Musonge, Achidi Achu and all the others of that ilk, to take up permanent position in front of that house where Paul Biya works and stay there until he convenes a national dialogue as the international community has demanded of him. I can bet you my life that if you do this, all the people of Southern Cameroon in Yaounde will join you there and even if you die in that action, you will be better immortalized. What you did in senate recently was just a lame aping of the Wirba phenomenon and was quickly ignored. The CEMAC statement on the genocide in the Southern Cameroons in its just concluded summit in Ndjamena, Chad is worthy of note. French Cameroun’s President Paul Biya was elected President of the sub-regional organisation in his absence. He was therefore not present to officially take over the mantle of leadership of that sub-regional organisation. His absence made it impossible for him to personally contribute to the decisions and resolutions on matters of importance impacting on the life of the organisation. No publicly stated reasons were provided explaining his absence. It was obvious that sub-regional and international economic and security matters would be discussed at the summit. It was also obvious that the incoming President would be given the mandate to execute the decisions that were going to be taken at the summit. Some CEMAC countries fall within the international security and economic powder keg in the Sahel, the Congo basin and the Gulf of Guinea. 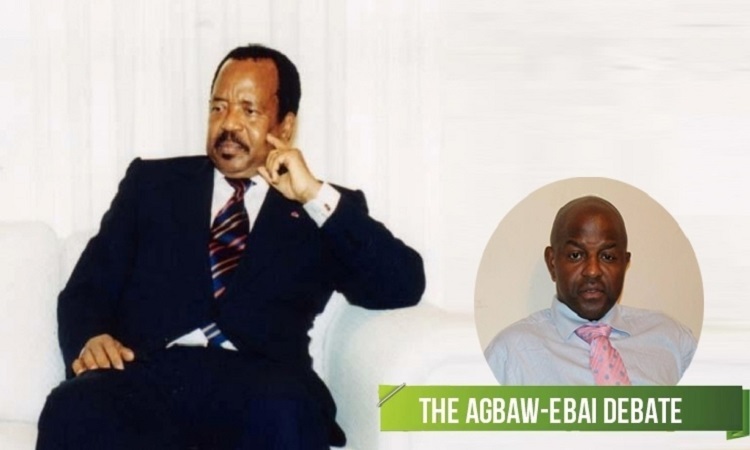 Cameroon Concord News Group is concerned that conferring the Presidency of CEMAC to Paul Biya who is a sub-regional Angel of death and General Overseer of a Crime Syndicate is potentially risky. He is genocidal, aged, sick, senile and potentially in the evening of his life. The security and economic challenges confronting CEMAC required a vibrant, visionary and strong leader. Paul is not. He is a demented neo-colonial stooge. Some of challenges confronting France-Afrique of which CEMAC is the heart-beat, include the growing debate on colonial security, economic and cultural pacts, the CFA Franc, the Multinational war against Boko Haram, Maritime Security in the Gulf of Guinea, the instability in CAR and the DRC Congo etc. A sick despot with a failing memory cannot withstand these challenges. Cameroon Concord News Group can therefore only conclude that CEMAC has given Paul Biya a crown of thorns. This crown of thorns adds to the several attributes on Paul Biya’s despotic page in France-Afrique’s neo-colonial book of incredulity. This crown of thorns came with an important statement from Paul Biya’s CEMAC peers which must have shaken the Angel of Death to the marrows of his evil bones. Fearing probably that he may abuse his mandate and the crown of thorns to legitimize the genocide in the Southern Cameroons, CEMAC leaders in a resolution warned about the consequences of continuing the war Paul Biya declared against the Southern Cameroons in the Gulf of Guinea. The CEMAC leaders resolved and urged him to find a negotiated solution as soon as possible. Coming from a sub-regional organisation whose presidency he was assuming, the resolution on the Southern Cameroons must have come through as a poisonous pill to criminal instincts of this notorious genocide mastermind. The clear message is that if he persists on his genocidal misadventure against the Federal Republic of Ambazonia, then he will be doing that at his risk. CEMAC took a clear stand before handing over the presidency of the organisation to him. It behoves him as the president of French Cameroun and as the President of CEMAC to embrace the path of international legality and not criminality and genocide. What if he does not stop the genocide and engage in negotiations? Will there be consequences from CEMAC? Cameroon Concord News Group does not believe CEMAC will sanction him for non-compliance of its resolution on the Southern Cameroons. However, the CEMAC resolution deprives him of an instrument or toll with which he intended to legitimize impunity, geocide and other crimes against the Southern Cameroons. CEMAC were careful to point out to him that countries in the Gulf of Guinea would be negatively impacted by the war against the Southern Cameroons-Ambazonia. The CEMAC resolution on the Southern Cameroons clears the way for Intervention by the International Community to protect and prevent genocide, crimes against humanity and war crimes. Without this clear statement from CEMAC, intervention by the AU, UN, and the International Community at large would have been diplomatically hampered or slowed down. International Organisations, the United Sates of America, the European Union and International Human Rights Organisations have found strong evidence that Cameroun civilian and military commanders planned and are executing despicable crimes against Southern Cameroons civilians within the territory of the Southern Cameroons and the neighbouring country of Nigeria. There must be consequences for these acts of impunity. The CEMAC resolution implicitly serves notice to the Buhari government in Nigeria and other countries that may be aiding the genocide. CEMAC whose presidency the genocide mastermind Paul Biya has assumed, has taken a stand in favour of negotiation and peace. The Federal Government of Nigeria which is a party to the multinational force arrangement fighting against Boko Haram with some CEMAC countries is on notice to readjust its position and weigh its diplomatic options in the light of this reality. Cameroon Concord News Group calls on the International Community to urgently deploy a peace keeping force to the Southern Cameroons- Ambazonia to protect and prevent against the ongoing genocide. The international Community should facilitate negotiations that must lead the way to the free exercise of the right of self-determination by the people of the Southern Cameroons-Ambazonia under the UN Charter, UN Resolutions and International Law. Cameroon Concord News Group calls on all Ambazonians and freedom loving people world wide to redouble all efforts to contribute towards ground zero operations, the protection and sustenance of Ambazonia civilians and refugees, the legal defence fund of Ambazonians and Ambazonian leaders in captivity, Ambazonia IG institutional governance and diplomatic actions which must intensify now when the world is paying attention. Cameroon Concord News Group calls on the IG and Ambazonians capable of carrying out diplomatic initiatives to know that international diplomacy warrants knowledge of diplomatic practice. Effective diplomatic engagement is never conducted on social media. Giving notice of attacks on supposed targets in the territory of French Cameroun at a time when International diplomatic actions are being triggered may constitute an act of sabotage to the Ambazonia self-defence efforts. The Federal Republic of Ambazonia are not the aggressors in this war. Ambazonia took up arms in response to this war of genocide in which French Cameroun is the identified aggressor. Publicly announcing so-called diplomatic engagement with the Basque country in the heart of Europe by Cho Ayaba shortly after announcing that he will carryout attacks in the territory of French Cameroon is not in the interest of the Federal Republic of Ambazonia. The Basque country is in Spain with its own specific historical peculiarity within Spain and the contagious areas of France. It is in the heart of Europe. 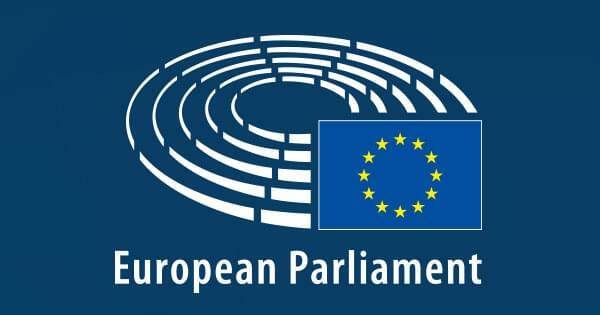 The announced social media diplomatic engagement at a time the EU has commence to trigger its sanction regime against French Cameroun for the crimes, including genocide committed in the Southern Cameroons may not be in the interest of the Southern Cameroons. The Southern Cameroons problem has discrete international character which must not be complicated. Cameroon Concord News Group has consistently warned that social media activism, grandstanding and ignorance by some who want to personalise the struggle for their selfish interests, may compromise genuine diplomatic efforts which the IG and concerned Ambazonians have been making and which may already be yielding fruits. The complexity of international diplomacy within which many Ambazonia professionals are operating as key actors may be too sophisticated for social media activists who are in search of relevance. Cameroon Concord News Group strongly encourages the Interim Government and Ambazonians of good faith to redouble the ongoing efforts with diplomatic discretion in other to achieve positive outcomes. Diplomatic procedural pitfalls must be avoided as much as possible. Sound diplomatic engagement must be discreet and must not be conducted in the social media. Cameroon Concord News Group calls on Ambazonians to strongly discourage or denounce the ongoing social media diplomatic circus. Cameroon Concord News Group has persistently warned Southern Cameroonians in ground zero and in the diaspora that Cho Ayaba and his AGC recently rebranded AgovC constitute a serious threat to the Southern Cameroons liberation quest. His every action in the struggle justifies this. His most recent actions among many elevates this warning to an emergency. 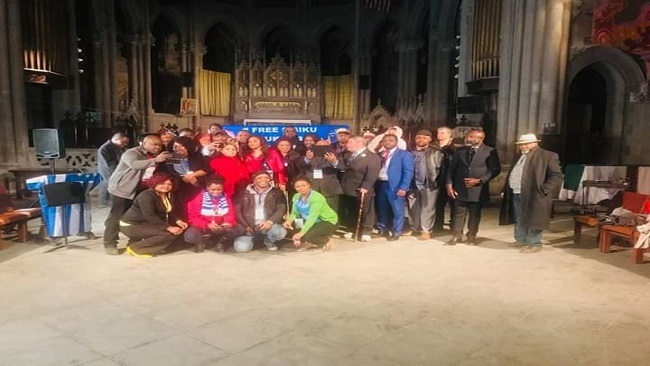 The so-called Dublin Declaration calling for armed attacks in French Cameroun and the persistent call by Cho Ayaba and his surrogates for the release of the audit report conducted on the orders of the Interim Government are matters which Ambazonians in ground zero and in the diaspora must consider with great suspicion. These actions are intended to help the enemy. They are not intended to contribute to the self-defence efforts for the liberation of the Federal Republic of Ambazonia from the terrorist genocide war of French Cameroun. Cameroon Concord News Group strongly urges the Restoration Council of the Interim Government of the Federal Republic of Ambazonia for the purposes of mitigating the damage intended by Cho Ayaba, to withhold the public release of the audit report that was submitted recently by the Interim President Samuel Sako. The Interim Government should distance itself from the Dublin Declaration and the planned attacks against targets in French Cameroun. Attacking targets in French Cameroun may be used to transpose French Cameroun teleguided attacks, the actions of Boko Haram, French Cameroun opposition and insider attacks as attacks by the liberation forces of Ambazonia. Atanga Nji and the criminal government of French Cameroun, will organize targeted attacks against French Cameroun civilian population, protected settlements such as schools, palaces, markets, museums and hospitals and blame on the restoration forces. All they needed was this public announcement by Cho Ayaba that the attacks will be carried out by Southern Cameroons liberation forces under his command. Whether he in fact carries out the attacks will not matter. They just need this announcement to do the rest in order to criminalise all our restoration forces and inviting the international community to characterise them as terrorists, which they are not, French Cameroun has an extraordinary propaganda capacity by themselves and their lobbies abroad to rely on the Dublin Declaration to mount this campaign. Cho Ayaba will not be targeted as indeed he has not been targeted at any time by French Cameroun and its agents, even though his actions have been acted upon by French Cameroun to target many who are in the diaspora legitimately exercising their protected rights to mount a defence of their ancestral fatherland, their civilian population and their freedom afforded by international law. A key strategy by French Cameroun in the war of genocide against Southern Cameroons is the targeting of the civilian population and foreigners within the territory of the Federal Republic of Ambazonia. This strategy has backfired partly because the United States whose forces are in North French Cameroun supporting the multinational force against Boko Haram has through its independent intelligence gathering capability monitored the crimes committed by French Cameroun terrorist forces against Ambazonians and foreigners among whom are missionaries. Providing a public open cheque admitting in advance crimes committed within the enemy scheme to criminalize the legitimate war of self-defence by the restoration forces of Ambazonia is indeed reckless. Lest we forget, French Cameroun is a territory where the multinational forces are conducting legitimate internationally sanctioned military operations against Boko Haram and international terrorism. Interjecting into the Ambazonia liberation struggle within this sphere, will bring negative focus on the Ambazonia armed struggle. It ill subsumes the Ambazonia liberation struggle into a French Cameroun internal security problem rather than and Ambazonia problem which is an international problem for which there is overwhelming international support for all-inclusive negotiation without pre-conditions with international participation. The Dublin Declaration aims at changing the nature of the conflict. Who stands to gain with the new factor and dynamic introduced by Cho Ayaba? The answer is that the enemy stands to gain. As if the killing of the military commanders of Ambazonia defence units fighting against the enemy French Cameroun terrorist forces is not enough, Cho Ayaba wants to provide the enemy with a defence which it sought unsuccessfully to make through the Bangorain staged attacked. While in warfare, taking out enemy operational, support, strategic and tactical command capability, even in its own territory may be legitimate. But then these are often done in covert operations. This is not what Ayaba intends to do with his Dublin Declaration. Making this public as Cho Ayaba has done is wholly intended to propagate the strategy which the enemy is relying on him to subvert the legitimate self-defence liberation efforts of the Federal Republic of Ambazonia.The enemy strategy through Ayaba is unfolding in through the Dublin Declaration. Also, Ayaba and his surrogates over the past several months embarked on a social media campaign of blackmail to force the IG to release a legitimate audit that was conducted furtherance to the Ambazonia quest for accountability. 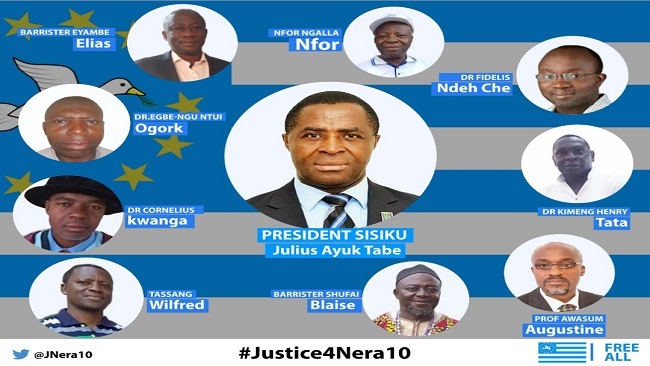 The clear intention by Cho Ayaba and his surrogates was to ride on the popular request for accountability made in good faith by Cameroon Concord News Group and a sizeable component of the Ambazonia people in furtherance of the accountability quest. Cameroon Concord News Group wants to place it on record, that the aims of Cho Ayaba and reneged forces in seeking the release of the audit now is not for the public good. He and his surrogates never recognized the IG and never contributed to the treasury whose audit they are requesting. His intentions on the release of the budget report, the so-called Dublin Declaration judged against his destabilizing actions in ground zero, as a matter of urgency, strongly call for the audit report not be released now. That will not be in the public good nor that of the liberation war of self- defence. He and renegade forces will use it to undermine the self-defence war efforts, the county by county and local government by local government defence strategy and discourage diaspora, ground zero and international support for our refugees, our internally displaced and our ground zero self-defence operations. The timing of the Dublin Declaration and the seeking of the release of the audit report to discredit the IG no matter how sincere and forthright the audit report may be, at a time when international action is closing in on French Cameroun is highly suspicious. Coming at a time when every lie told by French Cameroun against the restoration forces of Ambazonia have been exposed, the public declaration through the so-called Dublin Declaration and attempts to blackmail and weaken the IG are a welcome relief to French Cameroun criminal government and its terrorist armed forces. This strategic change of policy that benefits the enemy must be opposed vigorously. The question which must be asked is why now? Why now when the international community is putting the required pressure on French Cameroun sinking crime syndicate? Why validate the abduction and extermination of thousands of internally displaced Ambazonians seeking refuge within vulnerable French Cameroun civilian areas who will be falsely accused for the actions of Ayaba, Atanga Nji and members of the crime syndicate? Why now that French Cameroun has failed to paint the restoration forces as terrorists and has been forced to call Ambazonia liberators simply as separatists, a tacit recognition of the liberation rationale for the self-defence war of independence? Why now, when Ayaba has a legitimate option to attack and take out the occupation war loot of French Cameroun within the territory of Ambazonia and has failed to do instead resorting to kidnapping and taking ransoms or killing liberation forces and commanders in ground zero? Over the past fifty-seven years, French Cameroun and its colonial administrators, military commanders and politicians through extortion, claimed Ambazonia prized lands, farms, natural resources and built mansions and businesses in every county of the Federal Republic of Ambazonia. Why not join the rest of the restoration forces to take out the stolen resources, investments and wealth and weaken the enemy rather than stretch limited war resources to attack targets in French Cameroun when the resources of colonial rule are within Ambazonia? The problem with Ayaba and other renegade forces within Ambazonia is greed. Prior to this stage of the revolution the struggle stagnated because rather than mobilizing the diaspora resources to liberate Ambazonia, Cho Ayaba and many others who are opposed to new ideas and leaders in the liberation struggle exploited them for personal gain. This is one reason why the same diaspora who were exploited through the asylum process have rejected these same so-called front-line leaders exploiting the self-defence struggle for personal gain. Most Ambazonians agree with Cameroon Concord News Group that a cancer that has afflicted the struggle for many years was the commercialisation of the struggle for pecuniary interest through the asylum process, even though most Ambazonians who fled the homeland had legitimate fears of persecution and harm to their precious lives. For his more than two decades in Europe, Cho Ayaba sustained himself on exploiting the asylum vulnerabilities of Ambazonia victims fleeing from the murderous colonial rule of French Cameroun. This cancer ran so deep in many of the so-called frontline leaders of the Ambazonia independence struggle to the extent that with the advent of a new dawn of the Ambazonia popular revolution, they have vigorously resisted the emergence of the new leadership outside the cancerous cartel as a threat to their pecuniary interests. The time to shred pecuniary interests to unite to confront a common enemy is now. 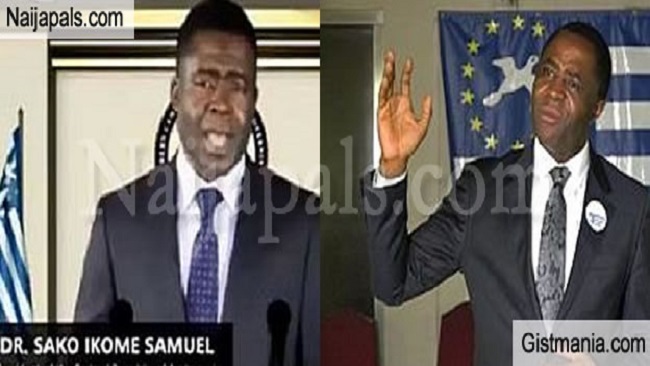 Cameroon Concord News Group called out to Acting Interim President Samuel Sako to step-down due to what Cameroon Concord News Group identified as his ineffective leadership in some areas. That call was not intended to be abused or misinterpreted to support a misdirected campaign to subvert the cause. It was done in good faith. Cameroon Concord News Group called for full accountability of the IG for the purpose of public interest. That action is expected by all democratic governments. Ambazonians have a culture of accountability which that call echoed. Cameroon Concord News Group is pleased that its call and that of many Ambazonians was heeded to and an audit was conducted as the IG promised. Cameroon Concord News Group hopes that this audit should be a first step to reforming the IG and the restoration council for the purpose of strengthening it to carry out urgent ground zero operations, protection and sustaining our refugee population and diplomatic initiatives. Cameroon Concord News Group is strongly opposed to renegade forces and French Cameroun riding on these citizen requests for an audit to harm the cause. Classified information of an operational and diplomatic nature should not be provided to hostile forces through an unrestrained public disclosure of the audit report now. Cameroon Concord News Group also urges Ambazonians and friends of Ambazonians worldwide to reject and distance themselves from the announced Dublin Declaration which plays into the enemy strategy. The Dublin Declaration and pressure to release the audit report to the public now are aimed at feeding the enemy with the ammunitions to delegitimize the Ambazonia war of liberation and subvert international support and efforts to protect and free Ambazonia. It undermines worldwide campaigns to hold the crime syndicate in French Cameroun to account in an international criminal court and targeted sanctions. Cameroon Concord News Group calls on Ambazonians to choose their priorities and timing wisely and to build on the many diplomatic and ground zero successes to expedite the movement to Buea and a free homeland. 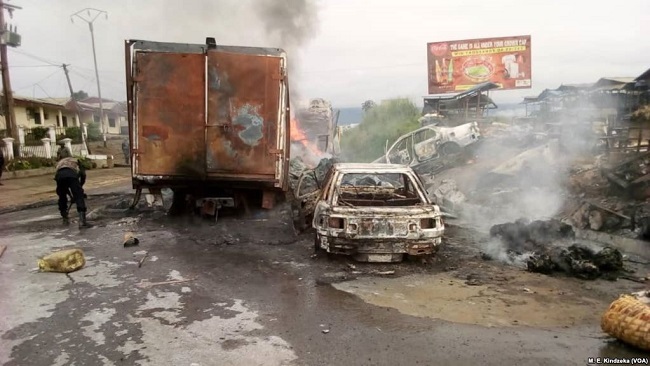 For this to occur, Ambazonians should rise to the occasion and contribute massively to match their comment to the unfolding international and ground zero response to their just cause. Let all remember that timing in every revolution is crucial to positive outcomes. The time is now to make the final push. For more than three decades, Cameroon has made the headlines for corruption and each time a senior official is arrested, the public feels that things will get better. But for three decades now, things have moved from better to worse with the future looking really bleak. Way back in the mid-80s, only very few people were known to have stolen state funds and this did not look like an epidemic. In 1986, two years after the country’s President, Paul Biya, came to power, there were rumors of senior officials of his government stealing state funds. He promptly organized an interview with CRTV, the country’s national network, to dispel such rumors. In his interview, he asked for proof and many Cameroonians were displeased with his statement on national TV. Many Cameroonians thought that it was incumbent upon the government to investigate any allegations instead of asking ordinary citizens to bring any evidence in their keeping. The business of embezzling money is very sophisticated for an ordinary man to understand and it is only the government with its vast resources that can get to the bottom of things if it really wants to know the truth in a country like Cameroon. But the truth did not take time to come out. No sooner had the president challenged the population than the very first managing director of CRTV, Elie Florent Etouga, absconded with the corporation’s budget. This was a sign that things were not as tidy as the president had portrayed in his interview. He later came on TV to acknowledge that some of his collaborators had stolen state money and were living out of the country. This announcement was not only an indictment of Mr. Biya’s government, but a clear indication that the president was blissfully unaware of what was happening around him. Indeed, his statement in defense of his collaborators only served as the opening of the floodgates. After Mr. Elie Florent Etouga, Mr. Messi Messi, a managing director of a popular government financial institution, also fled the country with huge amounts of money in the early 90s as Cameroonians started demonstrating for multiparty politics and as things looked like Mr. Biya was losing his grip on power. Mr. Messi Messi later alleged that the financial institution had been ruined by Mr. Biya’s wife and her family who constantly showed up at his office with bits of paper to collect money at the behest of the president’s wife. From that date, Cameroon made its way into the spotlight for the embezzling prowess of its government officials. The last two decades have seen hundreds of Cameroon government officials being sent to jail for embezzlement. Even a Prime Minister, Ephraim Inoni, is also languishing in jail for dipping his hands into the government’s coffers. Cameroonians now joke that there is an entire government in jail and that the only vacancy in the country’s maximum security prison, Kondengui, is the post of president. This implies that Cameroonians are looking forward to the day Mr. Biya will be taken to jail for presiding over a corrupt system. Cameroonians are at a loss for words. They argue that much of the embezzlement cannot be occurring without the president’s knowledge. They point to the fact that most of those in prison are people who are from the president’s ethnic group or region, arguing that there should have been a well-defined background check system to ensure that the public service does not get filled with criminals. The public has been calling for a computerization of the system to ensure that a few people do not have absolute control over state funds, but these pleas have fallen on deaf ears and the looting of the system has continued unchecked. The embezzlement of state funds has not only hurt the president’s reputation as a leader, it has also hurt the economy. Stealing state money has become a favorite sport among Cameroonians. Most Cameroonian civil servants, especially customs officials, tax inspectors, and heads of national corporations are clearly living well beyond their means and most of them have their children out of the country, mostly in Western countries where the stolen money is safely kept. But this week, the country has been asking if the country’s economy will ever recover following the arrest of a former minister of defense, Alain Edgar Mebe Ngo’o, for the embezzlement of billions of taxpayers’ money. Pictures of the former minister’s mansion have been trending online and many Cameroonians are shocked at the display of opulence by Mr. Biya’s ministers. Mr. Mebe Ngo’o’s case seems to be the worst in the country’s history. His wife, children and nephews are all involved and the list of his assets has left many Cameroonians wondering if this will ever stop. For more than three decades, the country’s government has been conducting itself like a crime syndicate and many members of the president’s ruling party are considered as Mafia kingpins who hold that they are above the law. While the country is bleeding money and jobs, many members of the country’s ruling party have become very rich. The country’s economy is in a free fall and if something is not done, it will collapse and many lives will be exposed to hardship and death. The corruption has become all pervasive and it has now reached other sectors of the economy. Schools, banks and hospitals have not been spared by this cancer that is tearing the country apart. The country’s hospitals have been ruined by corruption and most of them are more of consultation clinics. The country’s death rate has risen and it is even unsettling to know that medical doctors are more interested in money than in the health of their patients. Regarding the financial sector, it could be said that it too has been hit hard by corruption as a result of what is happening in government circles. Late last year, the Central African Banking Commission (Cobac) issued sanctions on Cameroonian bank managers for various acts of corruption. This followed its September 22, 2018, meeting, the conclusions of which were published by Abbas Mahamat Tolli, the commission’s Chairman and Governor of BEAC. The concerned managers reportedly violated exchange regulations and did not comply with prudential standards. Those affected by that decision included Alphonse Nafack, MD of Afriland First Bank; Isong Udom of United Bank for Africa; Gwendoline Nzo-Nguty Abunaw of Ecobank Cameroon; Waidi Loukoumanou of BGFIBank Cameroon as well as André Alexis Megudju, Managing Director of Crédit communautaire d’Afrique, a former microfinance institution that received Cobac’s banking accreditation in March 2017. Furthermore, Cobac also examined seven financial institutions accused of non-compliance with banking regulations, lack of internal control and money laundering, among others. According to the regulator, these institutions have freed themselves from the rules governing the foreign exchange market. This is the story of a country that has made corruption its hallmark. The story of Cameroon’s corruption is one that will continue for a long time, as long as the government does not find anything wrong with its ways. Corruption has blighted many lives. Many young Cameroonians are unemployed and millions are looking outwards for opportunities in distant lands. Today, it is normal for young Cameroonians to hold that their country has no plans for them and this is causing the country to lose many talented people. The brain drain has reached alarming proportions and it will be difficult for the government to reverse this unfortunate trend. The judgment of the Nigeria Federal High Court in Abuja on March 1, 2019, declaring illegal and unconstitutional, the abduction and deportation to Cameroun of the President of the Interim Government of the Southern Cameroons/Ambazonia Sisiku Ayuk Tabe, members of the Interim Government and several Southern Cameroons refugees carries significant symbolic weight. The judgment has comprehensively determined the legal status of the abductees which was in controversy since Cameroun characterized them as terrorists on the account of alleged crimes committed against Cameroun from the territory of Nigeria; so, the Isa Tchiroma and the Court-martial alleged. The Federal High Court of Abuja Nigeria on the territory of which the crimes alleged in the court-martial were allegedly committed has decided that they are persons who were legally in the territory of Nigeria as refugees under the protection of international conventional law at the time of their abduction and deportation. They were not therefore terrorists nor did their presence and activities constitute terrorism to warrant their being characterized as terrorists to warrant abduction and deportation to face a court-martial. Even if they were terrorists, international law still outlawed the abduction and deportation without compliance with the municipal and international rule of law. This judicial determination settles a key issue in the subsequent case brought against the victims by Cameroun, the state to which they were deported. The failure of the court-martial in Cameroun where the abductees are forcefully subjected over their objections, to take judicial notice of the Judgment of the Abuja Federal High Court will have bilateral relations and multilateral treaty obligations consequences on the two countries, in the short and long term. Nigeria and Cameroun are state parties to the 1951 United Nations Convention on Refugees and its Additional Protocol 1967. Both countries are state parties to the OAU 1969 Convention Governing the Specific Aspects of the Refugee Problem in Africa which came into force in 1974. The refugee problem globally and in Africa is a matter of significant international emergency, if not a humanitarian crisis. Without the existing multilateral treaty regime to manage this humanitarian crisis, millions, of the world’s vulnerable refugee population will be pursued across international boundaries and slaughtered by the murderous regimes and criminal squads from whom they fled in the search for protection. International law mandates state parties to the Refugee Convention to open their frontiers to allow refugees fleeing from wars, genocide, crimes against humanity and other life-threatening conditions to their lives to provide them protection. International law outlaws the abduction, deportation, rendition or the refoulement of persons who have sought refugee status to the countries from which they fled. Once the status of refugees is sought or obtained, the person concerned becomes a ward of international law under the Refugee Convention and its Additional Protocol. State Parties to the Refugee Convention are mandated to ensure compliance and indeed are obligated to submit periodic reports on compliance with their treaty obligations under the convention. Nigeria and Cameroun had a multilateral obligation to ensure that the refugee status of the abductees in Nigeria was respected and protected. Their mandate and responsibility are to the international community, since the 1951 Refugee Convention has near world wide membership. By engaging in criminal conduct to abduct and deport the victims to face a court-martial that applies the death penalty to Cameroun, Nigeria and Cameroun betrayed, violated and endangered the multilateral treaty regime and a protected international human rights value system. The Federal High Court Judgment provided an opportunity to Nigeria to explain to the world, the rationale and legality of the abductions. It is significant that Nigeria did not convince the court that the abduction and deportation was informed by any compellable reasons justifiable in municipal and /or international law. Nigeria did not convince the court of any legally justified reason to violate with impunity the Nigeria Federal Constitution (1969), its multilateral treaty obligations under the UN Refugee Convention and its Additional Protocol, the African Convention, the International Covenant on Civil and Political Rights and the Rome Statute. There is no compelling reason to explain why Nigeria mortgaged its reputation, its influence in Africa and its claims to lead and represent Africa as a world power at the UN Security Council to fulfil the dictatorial and criminal proclivities of a regime baying for the blood of millions of Southern Cameroonians. Hundreds of thousands of Southern Cameroonians have been deported by Cameroun from their ancestral home which are systematically torched as a deliberate government policy as senior military commanders and civilian government officials have admitted, across the border with Nigeria. The victims who at a great risk of a genocide sought international protections within the territory of Nigeria are living under continuing threat of abduction and assassination, after Nigeria provided support to Cameroun to pursue the commission of international crimes against them in the territory of Nigeria. The answer as to what endeared President Mohammadu Buhari to place Nigeria at the centre of an unfolding genocide, rather than acting as a facilitator of negotiations and peace may not be answered in this one critical historic judgment. Yet the judgment has the merit of laying an enduring foundation for answers to be provided within the compelling injunction of history. The truth, it is said, will never die with those who thought they could imprison it with sheer political chicanery and stealth transborder corrupt operations. Truth is as stubborn as a rock. Nigeria and Cameroun are aware, and this is important, that the underlying cause of the war declared by Paul Biya as a proxy of France, are the resources within the territory of the Southern Cameroons. These minerals are the umbilical cord to the perennial Nigeria misadventure that has devasted the Niger Delta, its ecosystem, maritime resources, economy and human health. Time will reveal if there are a convergence of economic and hegemonic interests by the known yet, invisible political god fathers enforcing the genocide using Nigeria and Cameroun proxies. I learnt from my years as a lead counsel at the Special Court for Sierra Lone, in the case of the Revolutionary United from for Sierra Leone (RUF)-Morris Kallon that minerals are the curse of Africa. That is why Central Africa Republic has never been at peace since independence despite its mineral rich capabilities. The Democratic Republic of the Congo is one case in point; so also, Burundi where abundant mineral resources have attracted the interest and wrath of neo-colonial economic and natural resource predators. The bazaar auctioning of the Southern Cameroons at independence as my late friend Dr Bate Besong stated, or the Mc McLeod slave deal, as the father of Ambazonia Fon Gorgi Dinka described it, was intended to silence the liberating ambition of Ambazonia patriots. For the record, the slave and bazaar dealers did not know that Ambassbay from which Ambazonia derived its name, stood watch over the liberating spirit of its Ambazonia offspring. Ambassbay is a natural environment for the sharks in the Ambazonia sea as opposed to the neighbouring sea which is inhabited by “crayfish”. Those with a good sense of aquatic life know that a shark is not an ordinary fish, surely not a crayfish. And this is where the difference lies. This judgment of the Abuja Federal High Court conveys an underlying message to the abductors that the abduction of Southern Cameroons leaders and citizens will have consequences that may potentially threaten peace and security in the Gulf of Guinea. That Nigeria has become a key ally of the state actor that declared the war of choice that have the capacity of igniting a conflagration in the Gulf of Guinea affecting its own citizens and interests on both sides of the borders, is a matter of profound concern. The judgment is a municipal judgment on compliance by Nigeria of its multilateral treaty and constitutional obligations. Finding that Nigeria violated its municipal laws and treaty obligations, is an important contribution to international law. This judgment therefore must be served on the United Nations Secretariat, the United Nations High Commissioner for Refugees in Geneva, all the permanent and non-permanent members of the Security Council through their permanent representations in New York, all ECOWAS state parties through their diplomatic representations in Abuja, the EU state parties present in Brussels, the AU Commission, and give wide publicity. This judgment negates the charge by Cameroun that the abductees were and are terrorists. Nigeria did not make this charge before and during the hearing. Nigeria should be concerned that persons found to be refugees by its own judiciary are facing a court-martial based on international and municipal violations of its own government. With this judgment, the blood of the abductees and other Southern Cameroonians will lay on the hands of Nigeria should they be further held in violation of this judgment or should they be executed pursuant to the court-martial. International law mandates that any offence committed on the territory of Nigeria can be investigated and prosecuted by Nigeria failing which Nigeria can send the refugees to a third country willing to accept them but not to the country from which they fled and sought refuge in Nigeria. Will Nigeria submit itself to a court-martial in Cameroun to provide evidence of acts alleged in the charges before the court-martial that were allegedly committed in Nigeria? Does Nigeria recognize a court-martial for civilians which is international human rights jurisprudence has characterised as torture and thus illegal? Does Nigeria by the abductions give legal approval to the crime of abduction which criminalised under the Rome Statute which Nigeria is a state party? Is abduction of civilians not one of the crimes alleged against Boko Haram in which hundreds of thousands of Nigerian civilians have lost their lives? The Abuja High Court trial was an occasion for Nigeria to prove that abduction is legal when conducted by a state actor but illegal when carried out by non-state actors. Nigeria failed to prove this or even convince the court that this crime may be legal under such or other circumstances. Nigeria under President Mohammadu Buhari tends to disobey court orders and indeed disobeyed the order of the Federal High Court in Abuja made by Justice Gabriel Kolawole dated December 2, 2016 ordering the release of Ibrahim el Zazaky the leader the Shiite Muslim Movement who was abducted by the DSS on December 13, 2015. The DSS alleged that he was detained at his own request for protection. The Judge was unpersuaded on the grounds that protective custody was unknown to law or National Security Agencies Act establishing the DSS. Since December 29, 2015, Colonel Abubakar Malami former National Security Adviser of President Goodluck Jonathan has remained in jail despite court orders for his release. However, in a suit brought by a constitutional lawyer Johnmary Jideobi praying the court to void the SAN of the Attorney General of the Federation, Abubakar Malami for professional misconduct for advising the Federal Government to disrespect court orders, the Attorney General refused being held accountable for advising the Federal Government to disrespect court orders and that he was not informed about the detentions and so his advice was never sought in the cases. The Attorney General argued in his defence that in cases where his advice was sought, he advised, and the Federal Government complied with court orders. He cited the release on bail of Mazi Nnamdi Kanu the leader of Independent People of Biafra (IPOB) and that of the survivals of an attack on an uncompleted house in Abuja which was stormed and murdered by some operatives of the National Intelligence Services after the Nigeria Human Rights Commission ordered that victims and their dependents be compensated. This defence by the attorney therefore begs the questions, if he was never informed how then did, he enters appearance to defend the illegal actions of the Nigeria Government? Africa, and African leaders should hail the Judgment of the Federal High Court of Nigeria in Abuja and pressurise Nigeria and Cameroun to execute it without delay. This judgment protects the municipal and international protections of refugees afforded by multilateral treaties and municipal constitutional provisions. The international multilateral treaty regime has been tested and proved to be critical in checking the excesses and exactions of the world refugee crisis and the humanitarian calamity that is rocking the conscience of humanity. In their imposed inhuman dungeons Sisiku Ayuk Tabe and the Ambazonia abductees represent the face of humanity at risk. This judgment protects that human value represented by Sisiku Ayuk Tabe. African leaders and the international community should applaud this judgment and pressurise Nigeria and Cameroun to obey and execute it. This judgment should be a shock reminder to everyone, the powerful and the weak, that a refugee is a protected ward of humanity and the legal regimes emplaced to protect him or her attest to this fact. Abducting and deporting refugees to be court-martialled or placing them in harm’s way tantamount to driving a sword on the collective conscience of humanity. This should not be allowed to happen without consequences. I have a message for those responsible for the abduction and court-martial of civilian victims. Respecting this judgment may be the only opportunity for them to avoid placing their own poisoned chalices to their own lips. 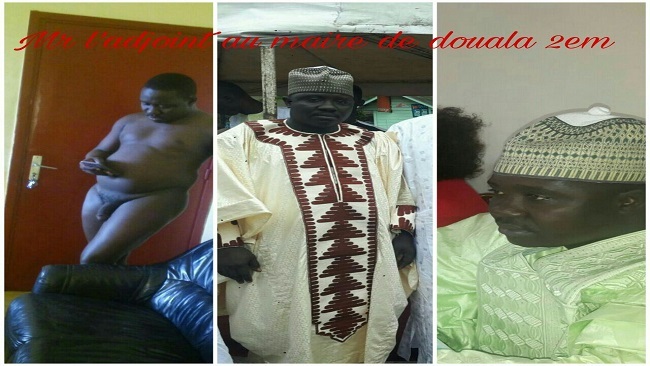 Babatoura Ahmadou with the use of terror pursued nationalists who sought refuge in foreign lands but died a refugee himself in solitude in distant Senegal. The refugee status he imposed on others and pursued, abducted and killed or assassinated them was the status that protected and sustained him until he died. In 1968, Joseph Desire Mobutu otherwise called Mobutu Sese Seko lured and murdered Pierre Mulele over strong world-wide appeals and condemnation. Mobutu died a miserable refugee in Morocco. The extensive empire he acquired through, murder, looting and plundering the mineral resources of his country are in ruins. The blood of the thousands he slaughtered to keep himself in eternal power still haunts the memory of him. His countrymen and women are even traumatised, turning his extensive empire into the memorial for his innocent victims. This recorded history may already have extended a hand of invitation to the actors in the theatre of criminality and violations that the Federal High Court High Court in Abuja addressed in this judgment. Whether they will on their own volition abide by this judgment, is not known to me. However, this judgment is addressed to the collective conscience of Humanity represented by the multilateral treaty regime which the court found was violated. The multilateral treaty regime must demonstrate that it has teeth and that it must not condone or encourage the impunity of state violators of their treaty obligations, lest it wrongly encourages non-state actors. Nigeria itself has a refugee problem in far and distant lands, including Cameroun. It will be unfortunate if Nigerians allow their government to determine their fate through the legitimisation of the violations found in this judgment. I wish to conclude by addressing a few words to Ambazonians who should be strategizing on how to rely on this judgment to highlight their predicament worldwide where ever they find themselves. I am appalled by how much social media activism and sideshows are distracting them from following the rapidly evolving events that may determine their fate yet again while they are asleep or self-destructing in search of power. While internal squabbles must be addressed, that cannot override rallying behind the Interim Government that instructed the lawyers working on this and other cases to raise the profile of the cases to the highest levers of international intervention. While not trivialising the complaints or matters which some components of the struggle may hold dear to their hearts, and I will not and never get involved in such squabbles, I strongly advise all Ambazonians, to henceforth recognize that the Abuja abduction of Sisiku Ayuk Tabe and others and their deportation to Cameroun requires a strong international legal intervention. It is a crime against the Rome Statute which Nigeria is a state party. The unwritten underpinning of the Judgment indeed has this implication. It has violated the UN multilateral treaty regime and that of the AU. Social media activism alone will not get this judgment executed, enforced. It will not rely on the judgment to pursue all international crimes and violations in which hundreds and thousands of civilians are systematically exterminated and civilian settlements, places of worships and hospitals are torched and reduced to rubbles. It is therefore advisable to support the IG to move quickly to fulfil these tasks while other weighty issues are internally reviewed and quickly redressed without the intension of rocking the boat for the sake of power. Protracted disagreement empowers adversaries. Clearly established areas of agreement should be identified, and prioritised and collective action sought to attain the position outcomes while perennial disagreements struggle for institutional solutions. What cannot wait even for a minute are contributions intended for the collective good, the protection of victims, refugees, vulnerable categories and preventive and protective strategies. The so-called APNC conference has come and gone and from every indication the meeting failed in contributing anything to the Southern Cameroons restoration struggle. 28 anti Interim Government personalities took part in the conference including some hired photographers. It was forbidden to show any picture of the super crowd and super delegates the organizers had claimed would filled the hall. The scantily attended Southern Cameroons forum aired out a group photo but no images of the audience have ever since been made public. This was indeed a Southern Cameroons conference of glory and shame. Glory because Ambazonians now have a group of people who are challenging the interim government rocked by numerous financial scandals. And shame because it was an ill-disguised attempt at toppling the Southern Cameroons Interim Government. Southern Cameroonians all over the world were waiting for the APNC to give their Interim Government a vote of no confidence, but it is now abundantly clear that those who travelled to the USA for the said conference gave themselves a red card. Through the organizers of APNC, the dust has now settled and the world can see clearly that the Southern Cameroons Interim Government is the people’s government-though acting now like a train with no brakes. Acting President Sako’s recent action of freezing all Interim Government bank accounts has instead helped the organizers of the APNC conference who should have gone home with nothing!!! The language coming from members of the Interim Government has been consistently inconsistent with some rejoicing and calling on the APNC men and women to humble themselves and make recommendations to the IG. This is just a repeat of CPDM politics in Southern Cameroons. Correspondingly, the Interim Government can also be painted as Ambazonia’s source of glory and shame. The finances of the Ambazonian Interim Government is now organised around one man-Acting President Ikome Sako. That is dangerous, shameful, disgusting and disgraceful. By going that direction, Acting President Sako seeks to remake the Ambazonia Interim Government in CPDM image. President Paul Biya of French Cameroun has been more successful in this regard. From the start, thousands of Ambazonians including the Cameroon Concord News Group were mesmerised with Sako’s coming as head of the Interim Government and we embraced him more fervently than SCOOP. However, as our briefing explains, Sako has taken ownership of the Interim Government. It is an extraordinary achievement from a man who had never earned a thousand dollars since moving to the US, who never held public office, who boasted of being a pastor and who, as recently, was sacked from a security job. The organising principle of Mr Sako’s Interim Government is loyalty. Not, as with the best Southern Cameroons leaders such as Fon Gorgi Dinka, Justice Ebong, Chief Ayamba and Sisiku Ayuk Tabe who had loyalty to the restoration vision or the rule of law and order, but to just one man—Samuel Ikome Sako. In the Federal Republic of Ambazonia that is unprecedented and it is dangerous. 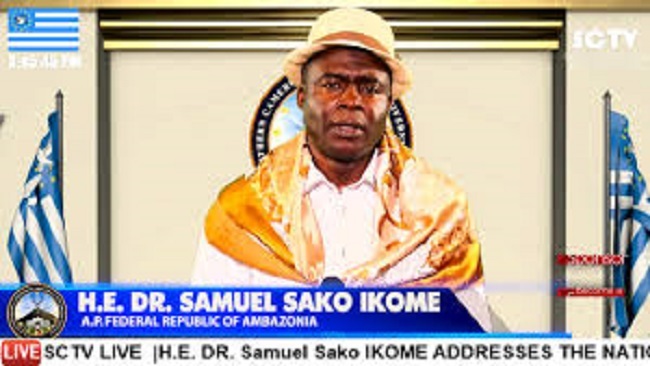 Presidency (1)Dr Samuel Ikome Sako is now a polarizing figure but lacks the ability to survive scandal after scandal that has rocked the Southern Cameroons Interim Government. There are presently strong calls for him to do the right thing which is simply to step down as Acting President. Cameroon Concord News Group promised our readers a complete investigation on how Acting President Sako and the Secretary of the Economy, Tabenyang Brado spends Ambazonian money. We made that promise after we of this group told the world that Acting President Sako was still the right man for the difficult job. Today, several lives are being lost in Southern Cameroons and also, the Ambazonia resistance is divided. Dr Samuel Ikome Sako should therefore come to the decision to resign as Acting President of the Federal Republic of Ambazonia with immediate effect. Members of the Interim Southern Cameroons cabinet, the leadership of the Ambazonia Self-Defense Council and County Heads should follow this push from the Cameroon Concord News Group and elect a decent man to lead the Interim Government. 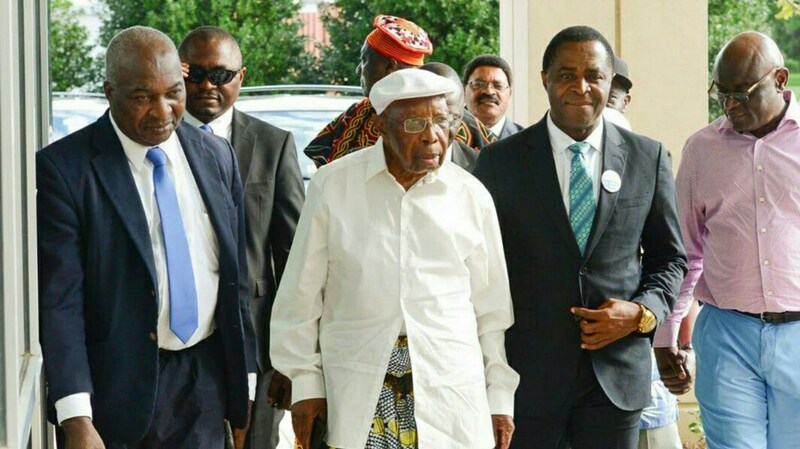 Dr Ikome Sako was once a popular and respected Southern Cameroons activist both in Nigeria and the USA, and was an ardent supporter of President Sisiku Ayuk Tabe from the very beginning of the revolution. 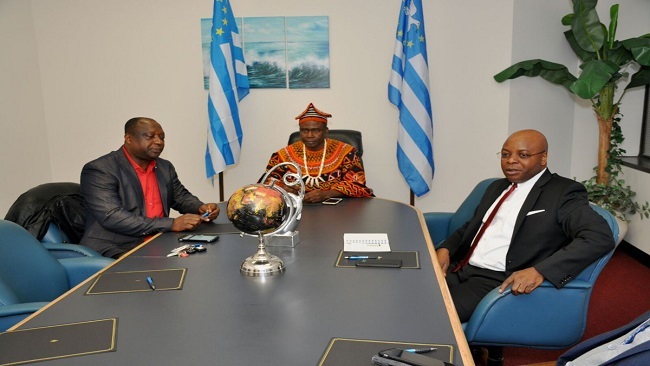 But Sako’s leadership has been plagued by scandals, and his reputation for reckless spending has grown to become a political liability for the Ambazonian Interim Government and by extrapolation, the Southern Cameroons people. We of the Cameroon Concord News Group are calling on Dr Ikome Sako to step down in order for a new leader to stop the systematic looting at the presidency under his rule. Our senior international correspondent in the USA leading the Interim Government investigation reported that the office of the Ambazonia presidency spent over 123,000 dollars from February 2018-December, 2018 from one of the Southern Cameroons government’s bank accounts –Ambazonia Consulting. Fingers have been raised for the Economy Secretary to provide details from the other accounts operated by the Interim Government. From facsimiles of documents gotten via our intelligence sources in the US, Sako pays his rents, feeds his family and pay their bills with money meant for Ground Zero operations. We understand, the Acting President even moved into a bigger and more expensive apartment citing “security concerns” and bought new furniture with Ambazonia money. Our cream of reporters working on the Sako presidency is yet to establish who actually approved that budget and project. Details of how the Acting President uses rental cars as he pleases also featured on the Ambazonia bank statement from the Ambazonia Consulting account. Sako also spends weekends in hotels within the Washington DC area, and again cites security concerns for this. One of Dr Sako acolytes, Irene Ngwa attempted a justification of Sako’s hotel spree observing that “sometimes the president receives intelligence that his life is in danger and he has to leave and lodge in a hotel without his wife even knowing where he is.” This begs the question: Who provides Dr Sako with the intelligence that always prompts him to leave his family in the supposed dangerous environment, just to spend a weekend with his bodyguards in hotels? From the evidence we have in front of us, Cameroon Concord News Group can now reveal that Sako swipes the Ambazonian government debit card at restaurants such as the popular one called ‘Kitchen Near You’ during his leisure outings! In one occasion, Dr. Atianjoh Fidelis paid half of Sako’s restaurant bills to save money for Ground Zero operations. Funds from Louisiana and the UK were directed to the Ambazonia Consulting account by Dr Sako through his security head officer Dr. Tatah. They even changed the address of the account to Economy Secretary Tabenyang Brado’s dismay. At the time of writing this editorial, a caller from the US State of California pointed to us that the Ambazonia Economy Secretary, Tabenyang Brado lied about a 300 dollar expenditure at Costco saying that Acting President Sako went there to make photocopies. The caller whose name we are withholding opined that Cotsco is a huge general merchandise just like Walmart and does not offer photocopy services. We also gathered from a source deep within the Interim Government that a Webmaster,Willy Munji recently made some nasty confessions over an exchange of large amounts of cheques between Tabeyang Brado and Dr Helen Akonji. Because of this gross incompetence and fraud, there is total disarray, and complete communication breakdown including divide and rule affecting even Ground Zero. Sako has lost the credibility and moral authority to lead the Southern Cameroons Interim Government. We now know that the Interim Government is crumbling and nobody wants Sako to continue as the leader except his close friends in crime and a few good people who are unaware of his crimes including those gullible facilitators who are happy he’s sidelining the ASC and regional coordinators in their favor. In Europe, the US, Canada as well as in the Republic of South Africa, most of the little support Sako still enjoys outside his immediate circle, is just from three groups namely: Pro-Interim Government supporters who cannot still distinguish between Samuel Ikome Sako and the Interim Government, pro-Interim Government supporters who believe in this inaccurate stereotype that we don’t change leaders during a revolution, and finally those Southern Cameroonians who fervently believe that everything Sako does is coming from President Sisiku Ayuk Tabe. Acting President Sako should please go and go now!! Cameroon Concord News Group now has empirical evidence of the unwavering support by an overwhelming majority of Ambazonians for the Interim Government of the Federal Republic of Ambazonia despite the public disagreement between two cabinet members of the Interim Government. 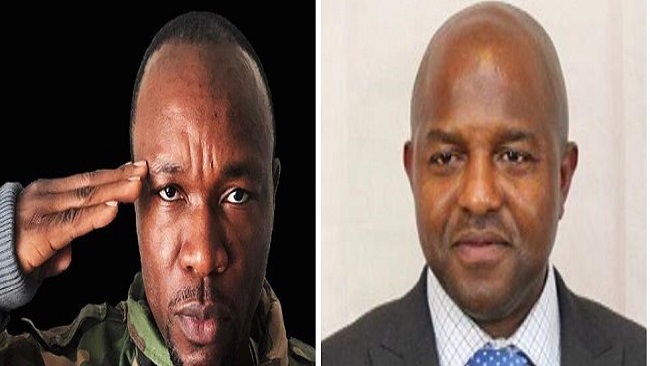 The disagreement which was predictable might not have been entirely of the making of the two key members of the Interim Government Hon Chris Anu the Communication Secretary and Hon Tabenyang, the Treasury Secretary. The public disagreements arose from matters and circumstances which in fairness to both Honourable gentlemen, were beyond their control. Cameroon Concord News Group and indeed most Ambazonians have observed that despite their disagreement, the two cabinet members avoided any misstep which could have threatened the Interim Government. This was the right thing to do. Indeed, governmental discipline, the integrity and confidentiality of governmental action in times of a genocidal war, appeared to have been in the minds of the two Honourable Gentlemen as they delivered measured public statements on the matters, they held strong views about. The question may be asked, should the matters in controversy have been addressed in public? In normal circumstances, the answer will be in the positive, considering the need for transparency in democratic governance that Ambazonians hope to reinstall in Buea. Should the issues have been brought up now when Ground Zero requires undivided attention? Ambazonians are divided in their answers? 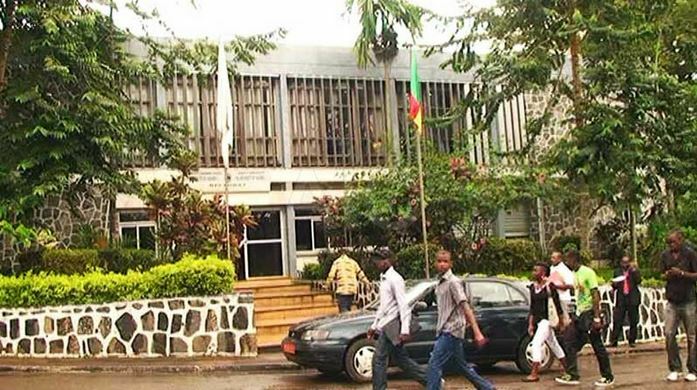 Cameroon Concord News Group will not take a position whether it was right or wrong to bring up the problems concerning the treasury and the ABC TV network now. Indeed, the trigger for the public disagreement arose from a meeting which was neither convened by Communications Secretary Hon Chris Anu nor the Treasury Secretary Hon Tabenyang Brado. Yet the public exposure of their hither fore internal cabinet disagreement arose because of this meeting over which they had not control. One way or the other, the fallout from that meeting was bound to come out considering the matters on the agenda. The fact that persons who were not members of the cabinet were involved in the meeting was bound to bring about friction or aggravate existing frictions. Disagreements are not uncommon in every government. The two governmental portfolios of the IG are sensitive and matters coming within the mandate of each of the departments must entail profound security considerations. The treasury portfolio of the Interim Government cannot be expected to disclose in public or in that meeting which was presided over by the President, His Excellency Sisiku Ayuk Tabe sensitive information relating to overt and covert security operations undertaken for securing the Ambazonia homeland. Cameroon Concord News Group therefore is of the considered opinion that Secretary Tabenyang provided just enough information for the public record, to await the scrutiny of the exchequer through routine governmental procedure if the Interim Government so desires. Hon. Tabenyang Brado was bound to provide this information not because Hon Chris Anu raised the matter publicly. Far from that! The fact that cabinet level matters came for discussion under unusual circumstances and in a French Cameroun potentially compromised environment, was a potential trigger for these records to become a potential source of controversy in different theatres. Among these are persons who have evinced every attempt to undermine or topple the Interim Government from the very inception. That was an unusual environment and unusual audience to discuss appropriation matters including that relating to the funding of ABC television network. It may be suggested that the meeting was enlarged to include supposed county heads. But then governmental practice require that appropriation and policy matters are best discussed in the cabinet; in time of war, within the national security council comprising members of the cabinet and certain individuals. Had that occurred, the simmering tensions within the cabinet that existed but had the possibility of containment would not have elicited consequential reactions which the convenors did not anticipate or could not control. The issues on the table were matters that required wide grass root consultation. A mere vote among participants was never going to be considered binding by the Ambazonia Diaspora and ground zero grassroots. That had the potential to polarize the citizenry on the watch of the President. There is a significant Ambazonia public interest imperative to make far reaching consultations before attempting to take a decision on the proposed endorsement of the ANPN conference and the proposed merger of ABC TV and SCBC. A governmental communication network is not just about TV appearances. It has significant intelligence and security implications. A government TV or news agency is but the public face of an elaborate cobweb of security and intelligence operations. It is a platform, a conduit and a governmental outreach to multiple complex international relations. No government in time of war will lightly relinquish its sovereignty over its communication policy of which a TV channel and other communication networks are key components. Relying on the social media over which it has no control, will be reckless and humiliating. Can the meeting which triggered this public disagreement between cabinet departments of the Interim Government be entirely blamed for the contentious outcome that has caused anxiety to many Ambazonians? Had to say! While the meeting was probably ill-conceived, it begs one issue that requires urgent attention by the Interim Government. Cameroon Concord News Group has taken the position that the meeting ought not to be organized from a constraining environment controlled by the enemy. The risk of the enemy generating hurtful intelligence from this meeting, there is a risk that French Cameroun may point to this meeting to discount or challenge the complaints that the condition of detention of the President are inhuman and violates international human rights. The fact that this meeting occurred may be suggestive of the inexistence of a highly classified mechanism to brief the President on important matters requiring his attention and counsel. The Interim Government must therefore put in place a highly classified and security sensitive mechanism for briefing the President His Excellency Sisiku Ayuk Tabe. In fairness to Hon Chris Anu, he is on record as stating over ABC Television that when and if negotiations or the all-inclusive dialogue with French Cameroun hold, it must be Sisiku Ayuk Tabe who will lead the Ambazonia delegation. He insistently stated that there will not be negotiations or all- inclusive dialogue without the unconditional release of the President, members of the IG in captivity and all Southern Cameroonians/ Ambazonians help in captivity. These policy statements critically undercut the misstatements of persons of bad faith who are interpreting the public disagreement which are common in democratic governments as undermining His Excellency the President,Sisiku Ayuk Tabe. It was not disaffection that motivated the mission to Nigeria by Hon Chris Anu to declare the battle for the release of the President and members of the Interim Government. It was not disdain or disaffection that motivated his ABC TV statement about the release of His Excellency Ayuk Tabe to lead the Ambazonia negotiating team in any internationally organized all-inclusive dialogue with French Cameroon. The ongoing public disagreement has provided an opportunity for an overwhelming majority of Ambazonians to reaffirm their support for their Interim Government and the Acting President His Excellency Samuel Sako. In coming to this conclusion, Cameroon Concord News Group analyzed the criticisms laid against His Excellency Samuel Sako by friends, foes and opponents of the Interim Government. The interest of the foes of the Interim Government has been to wish that the public disagreement leads to the collapse of the Interim Government. It is ironic that these anti-Interim Government forces are so desperate to seek the endorsement of the Interim Government which they have publicly professed their determination to overthrow along with the established order. The criticisms that had merit were brought to the attention of His Excellency the Acting Interim President Samuel Sako and the public at large. An overwhelming majority of Ambazonians considered the criticisms in good faith but nevertheless expressed their support for the Interim Government and the continued leadership of the Acting President His Excellency Samuel Sako. When Cameroon Concord News Group published these expressed wishes of the Ambazonia ground zero and diaspora masses, as expected, power mongers who believed that Cameroon Concord News Group had swept the carpet beneath their feet by bringing the criticisms of the Acting President to the public domain as well as the overwhelming public continued support for his leadership and the Interim Government, expressed bitterness at Cameroon Concords News Groups. Cameroon Concord News Group stands by this balanced, fair and candid statement reflecting the public mode, public interest and the opinion of a majority of Ambazonians. An overwhelming majority of Ambazonians have expressed the same sentiments regarding the public disagreement between Hon Tabenyang and Hon Chris An. They, consider the disagreement as an internal cabinet matter which they want to see resolved and resolved fast. The subject of disagreement between the two cabinet members should have been resolved without a major disagreement, had a well-designed policy towards the development of the Ambazonia patrimony been designed and implemented. They request that one should be designed with immediate effect. The current direct public appeal for Ambazonians to contribute towards the funding and running of ABC TV would have provided an alternative source of financing. Now that the appeal is ongoing, Cameroon Concord News Group strongly urges Ambazonians to contribute generously. In this age of technology where international diplomatic opinion is informed by serious media communication, the Interim Government of Ambazonia cannot depend on the social media to make a compelling rendition of its strong case to governments and international public opinion. Some social media activists have developed the use of insults and reckless language to define informed disagreement. Secretary Chris Anu and Secretary Tabenyang have demonstrated to these social media activists that reasonable persons may strongly disagree without rocking the boat and destroying the Interim Government which has wide international and national audiences and has compel reasonable international attention. For this reason, Cameroon Concord News Group calls on His Excellency the Acting President Samuel Sako to quickly take this disagreement out of the public domain and get the two members of the cabinet of the Interim Government to heed to the opinion of Ambazonians and resolve outstanding issues as quickly as possible. Cameroon Concord News and Cameroon Intelligence Report have consistently stated that the Interim Government of the Federal Republic of Ambazonia is the greatest achievement in this revolution. The journey that led to the formation of the Interim Government may have been rocky. Rocky as it was, what matters is not the rocky journey but the Interim Government that was established to oversee and crystalize the realisation of Ambazonia’s 57-year-old dream of an independent sovereign Federal Republic. The formation of the Interim Government rallied, reassured and refocused the struggle of oppressed people of Ambazonia for independence. With this appropriate leadership under His Excellency Sisiku Ayuk Tabe in place, the people of Ambazonia arose on September 22, 2017 in its overwhelming majority to express an irrevocable determination to proclaim its independence on October 1, 2017. History has recorded that His Excellency President Sisiku Ayuk Tabe oversaw the realisation of Southern Cameroons/Ambazonia 57 years old dream. For this reason, he is a strong symbol of the liberation and independence of Southern Cameroons/Ambazonia. Because he is a symbol of liberation, independence and freedom, the people of Ambazonia are determined to fight to the last man to free him from the captivity of French Cameroun. The mission to fight and liberate the President, members of the Interim Government and thousands of Ambazonian’s in captivity began with the historic mission to Nigeria by Hon Chris Anu. From the Nigerian capital, he dared the opponents of Ambazonia and put them on notice that nothing will dampen the resolve of a determined people to fight till the last person standing to free the leaders of Ambazonia and the totality of the Federal Republic of Ambazonia. That mandate and the mission must continue until the liberation of Sisiku Ayuk Tabe is attained. 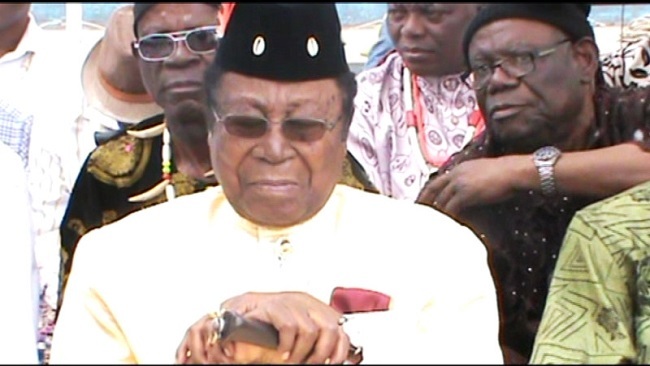 It is a matter of profound regret that some power mongers who contested the leadership of Sisiku Ayuk Tabe and the Interim Government and have evinced every possible determination to derail and sabotage the IG and the liberation struggle, are up in arms organising all forms of dubious platforms to sabotage the IG and the peoples’ liberation agenda. Cameroon Concord News Group calls on the sovereign people of the Southern Cameroons/Ambazonia to stand on their way. Ambazonians have resolutely sacrificed, toiled for these 57 years to liberate and re-establish their capital in Buea, with its mythical glory in freedom and democratic governance. History has recorded that it was during the mass movement to Buea to raise the flag of sovereignty and freedom on October 1, 2017, that French Cameroun unleashed bombs on armless Ambazonia civilians with helicopter gunships killing hundreds and maiming thousands. Cameroon Concord News Group considers it a matter of grave concern for Cho Ayaba to trivialize the sacrifices, the blood, the aspirations and will of the sovereign people of the Southern Cameroons/Ambazonia by daring to propagate the idea of the relocation of the capital of the Southern Cameroons/Ambazonia from Buea to another location in Ambazonia. If this were realised (God forbids! ), it will tantamount to delivering this symbol of Ambazonian sovereignty and liberation to the enemy on a platter of 30 silvers. The only person who would not shy away from contemplating this treachery was Iscariot. Since there was only one known Iscariot, Southern Cameroons/ Ambazonia should not tolerate the floating of this provocative idea by Iscariot’s surrogates lest it corrupts the gullible. Being the symbol of freedom and sovereignty, the courageous self-defence freedom forces of Ambazonia are right to embark on the mission to liberate Buea, the capital of the Federal Republic of Ambazonia for this generation and generations unborn. As a state symbol of freedom and sovereignty, Buea will never ever lose its significance nor lose its symbolic relevance. It is a historical truth even to the jaundiced eye, that Buea is the internationally recognized capital of the Southern Cameroons. Only an agent of the enemy will dispute or seek to distort this fact. It is regrettable that the insane idea of relocating the capital from Buea is being fostered now to distract the attention of the people of Ambazonia from the county by county grassroots contributions to the Ambazonia self-defence war effort. This genocidal war of choice declared by the arch terrorist Paul Biya of French Cameroun has displaced, killed, and maimed millions of Ambazonians within and out of its national territory. 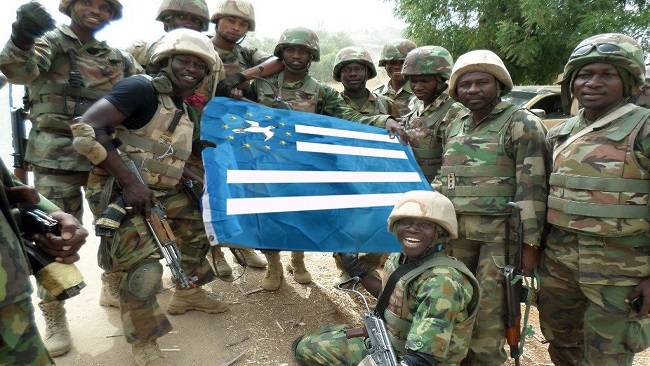 A key test of loyalty to Ambazonia is the individual and collective contributions to Ambazonia’s ground zero war efforts; the county by county contributions support, medical and sustenance support to the Ambazonian refugees, the Ambazonia Interim Government and symbols of the Ambazonia sovereignty. The treasury and communication channel of the Interim Government, the ABC television network are attributes of sovereign governance and must be strongly supported through the generous contributions of the Ambazonia diaspora. Cameroon Concord News Group questions the patriotism and motivations of individuals or groups that have refused to make financial contributions for Ground Zero self-defence operations, Ambazonia refugees, the treasury of Ambazonia, key diplomatic efforts and the ABC television network to facilitate communication between the IG and the people as well as the international community. It is regrettable that some of these individuals are persistently campaigning to sabotage the IG and the people’s quest for freedom. Milan Atam the SCCOOP leader, has not contributed to any of the liberation struggle in any of the above key areas. He has publicly stated that his aim is to take power by any means possible and subvert the Interim Government of the Federal Republic of Ambazonia. On occasion, he has boasted how he more than anyone in this struggle holds the key to the diplomatic community. Persons who may be bamboozled by this boastful self-glorification, are ignorant of the fact that there may be highly regarded and well connected Ambazonians in this struggle who may be working around the cloak to scale diplomatic barriers to get the much-needed attention and action in this case. 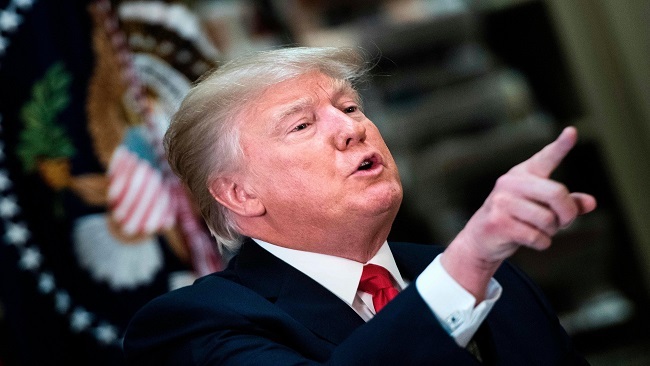 True achievers have no reason to rely on self-seeking boasting or seek to tantalize the gullible with claims to influence in high places and wealth to justify their claims to power through deceit rather than seeking power on the basis of their proven record of support to our refugees, the legal fund for the defence of the President and the self-defence war of liberation and Ground Zero operations to attain the objectives. Cho Ayaba used demagogy and rhetoric to dazzle and confound gullible Ambazonians. He falsely raised the hopes that he alone possessed the military prowess to confront the enemy, liberate Ambazonians and protect the people. A majority of Ambazonians, including the President His Excellency Sisiku Ayuk Tabe and members of the Interim Government under him, fell for that costly deceit despite the persistent warnings by Cameroon Concord News Group. On September 22, 2017 and October 1, 2017, the civilian population of Ambazonia that spontaneously mobilized in their millions to proclaim their sovereignty were attacked and hundreds were slaughtered in cold blood by the enemy and thousands abducted and carried into captivity. It is surprising that power ambitions of this individual is supported by some so-called activists and individual despite the calamitous slaughter on October 1, 2017 and his propensity to direct his guns against Ambazonia self-defence forces as opposed to the enemy. He has caused his surrogates and activists to display sophisticated weapons sourced from social media and elsewhere as weapons distributed to his fighting forces in Ground Zero without evidence of a single battle against French Cameroun terrorist army. Like one crooked Nsoh Foncham before, some gullible activists have been quick to point to these pictures on social media as the wining AK 47 armoury. These publicity stunts are aimed at raising money for self on the backs of the suffering masses. A well-documented record of killing GZ fighters by Cho Ayaba’s forces do not match professed liberation claims propagated by him and his activists. Cameroon Concord News Group strongly advises citizens of the Federal Republic of Ambazonia to support ground zero self-defence war efforts. Support for the Interim Government, contributions to the treasury and ABC television network as well as contributing for the wellbeing of Ambazonia refugees and internally displaced, the legal defence fund for the President His Excellency Sisiku Ayuk Tabe, members of the Interim Government in captivity and hundreds of thousands of Ambazonia citizens illegally held captive in French Cameroun’s concentration camps are a litmus test for patriotism and recognition. Failing this, citizens of the Southern Cameroons/Ambazonia should beware of cunny individuals who are in this struggle to enrich themselves or for self-aggrandisement. Lest we forget, French Cameroun has the mineral and natural resources of the Southern Cameroons/Ambazonia which it steals to use to corrupt everywhere, including some Ambazonians but the overwhelming majority of Ambazonians have but the love for the Ambazonia fatherland and the personal sacrifices and contributions they are making to recover their territory and their dignity. With more determination and support, Ambazonia will cease to be French Cameroun’s Alibaba treasured paradise. It will be liberated soon through the contributions and support of its determined citizens.